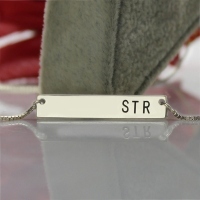 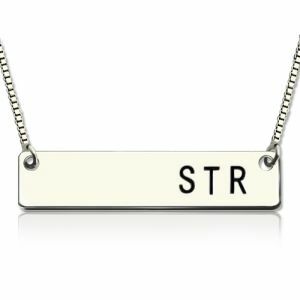 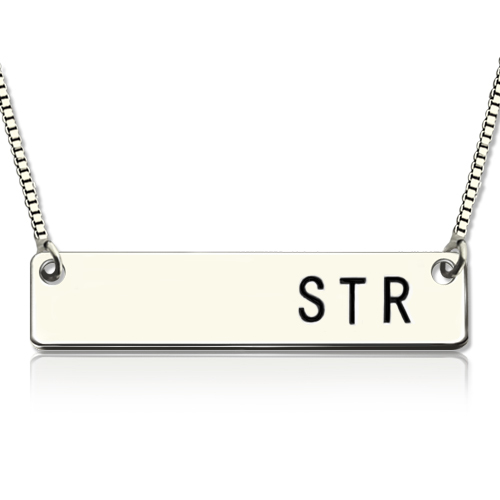 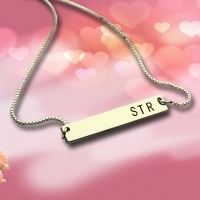 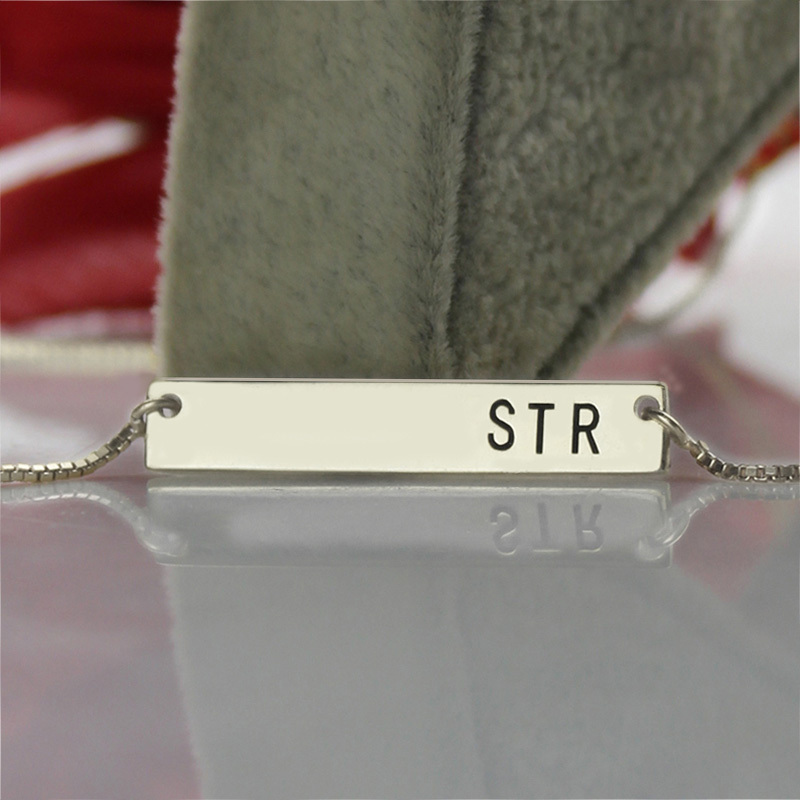 Sterling Silver Initial Bar Necklace - Show off your name on our exciting sterling silver Bar Necklace with Engraved Initials! 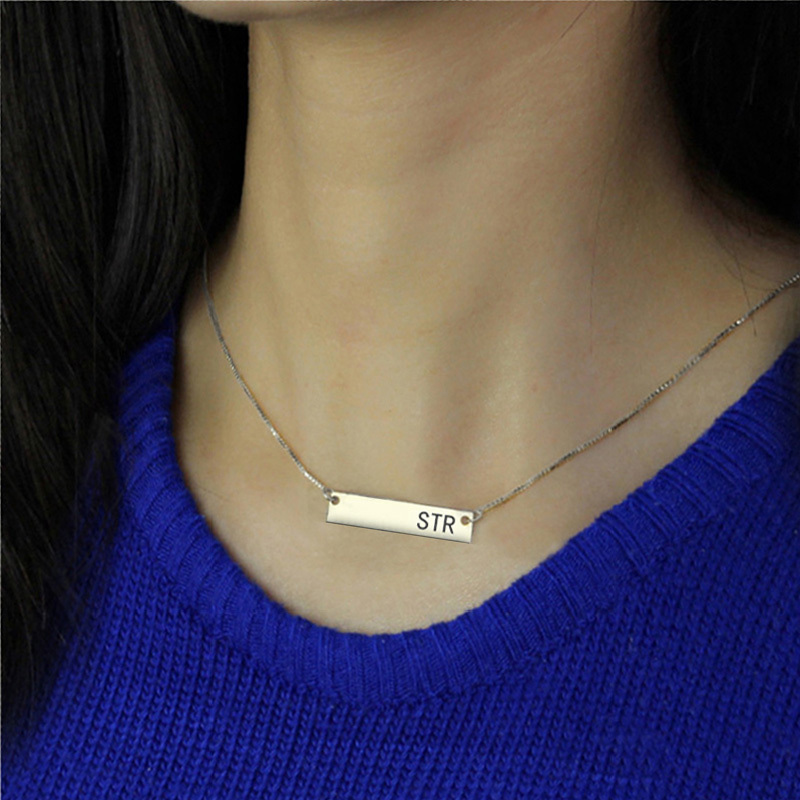 Celebrate your name and family when you display your initials in this unique piece of fashionable bar jewelry. Engraved bar necklace with three initials, you can put your name initials on it, or you and your husband's initials with your family initials. Perfectly gifts to loved one and friends.